In my classic private tour Buenos Aires we will see the not-to-miss places and hidden gems with local flavor! I also will be any time tailoring the places and items we see according to your tastes. In this private tour Buenos Aires we will also enjoy the local food; I always target to go to typical out of the beaten path restaurants, where you can try our tasty beef and also other delicious dishes like our pastas and desserts (remember we are “ex-Italian” so our food keeps that heritage). From a carefully suggested menu to last item we visit, contents are according to your tastes and feedback. During our full day private tour Buenos Aires we will stroll through many of the different neighborhoods and we will discover the diversity of colors, styles and spirit of this wonderful city. The happy colors of Boca with its tin tenements and where the soccer and the Tango are the kings, rooming that fantastic colorful Caminito and the Street Tango dancers pours their skills and their passion, and about passion, there is the Bombonera (chocolate box) the stadium of Boca Juniors. San Telmo, a colonial tranquil section, where every Sunday happens the fun Flea Market surrounded by street artists and artisans. Plaza de Mayo, the heart of downtown the very first step of Buenos Aires and our Independence where Casa Rosada (Pink House) is with the famous Evita’s balcony. The Recoleta, a chic neighborhood with its aristocratic cemetery an authentic show-off competition of sculptures you shouldn’t miss. Famous Cafés like Tortoni will be in our path to try a secret chocolate drink or a well done coffee. Puerto Madero, the newest section of the city, dressed in the blue of the glass skyscrapers and the red of the old British harbor docks. Palermo with its green vast park will be other point we will visit in our private tour Buenos Aires, and depending on your tastes and rhythm the Palermo Soho section full of cute cafes and trendy fashion stores. 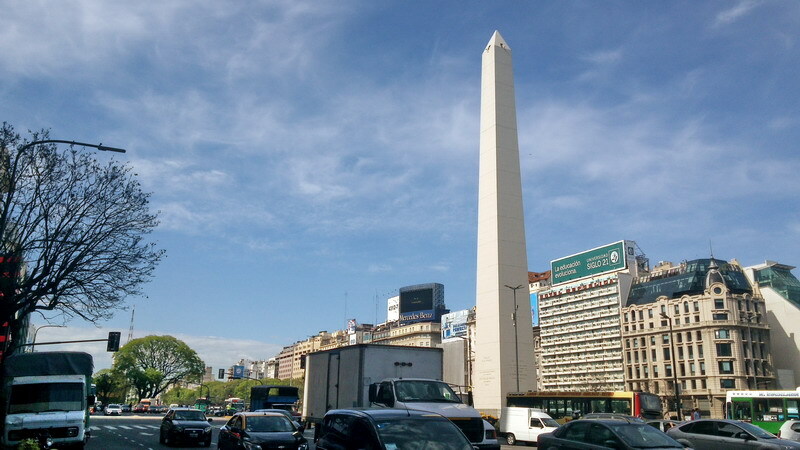 We will also do a sightseeing of the Obelisk which is the main icon of Buenos Aires and the Teatro Colon the largest Opera House of the world. Secret hidden gems as curiosities of Buenos Aires are a promise, and for sure part of those places would be the Italian Heaven and the Italian Hell, incredible places you must see before leaving. In our private tour Buenos Aires we will go trough the hectic history of Argentina, the story of Evita and we will explore our passions like Tango or Soccer. Because of all these items and things we are going to discover, I promise you that this more than a tour is a unforgettable local experience. Let’s discover Buenos Aires together!